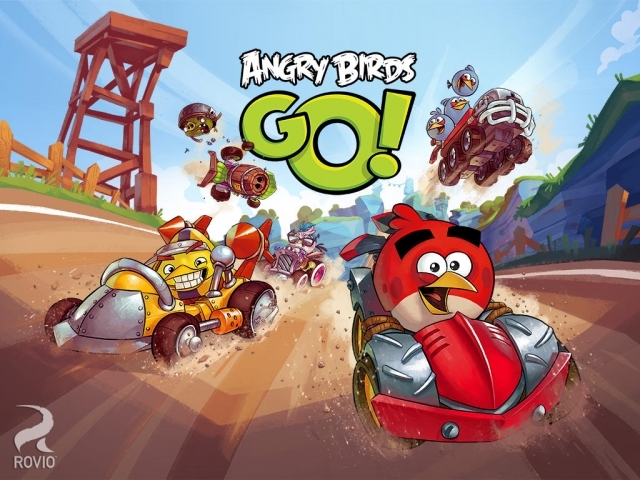 After months of waiting, Rovio finally releases the race-kart version of the well known Angry Birds game variant, naming it ‘Angry Birds Go!’. 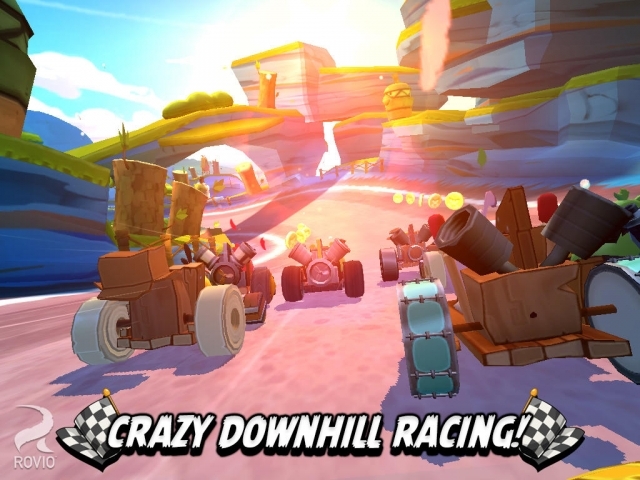 Jump behind the wheel and race as Red, Chuck, Terence, Stella, King Pig, Moustache Pig and many other favorites! Plenty of racetracks, stunt roads, air courses and off-road races – each throwing big and unexpected challenges your way! Smash your opponents off the road and take that winning position thanks to unique special powers for each character! 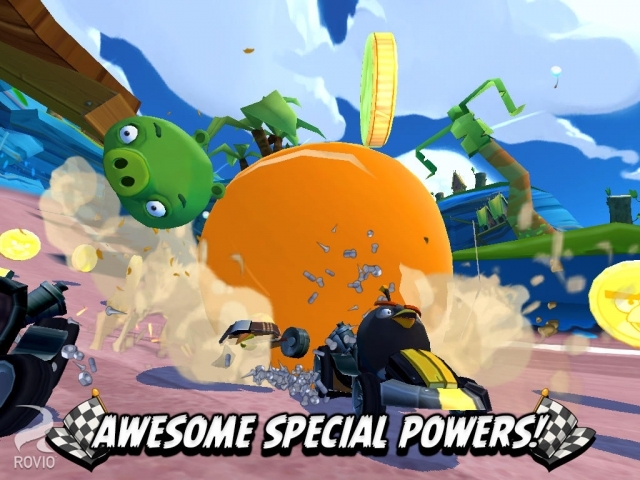 Test your skills with super-fun and surprising game modes: Race, Time Boom, Fruit Splat, Champion Chase and Mega Match! From a homemade soapbox car to a super-fly supercar, with tons of karts and awesome ways to upgrade – yours to earn or purchase!